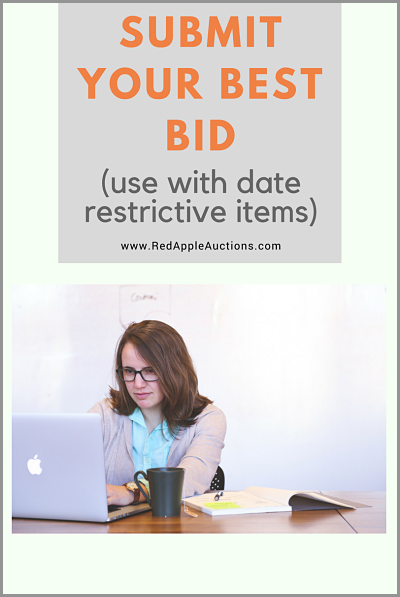 Earlier this month I wrote about how nonprofits can sell item donations that arrive after the fundraising auction, or arrive before the event, but have a date restriction preventing the item from being sold at the auction itself. Typically these are donations for a sporting event, concert, or festival. If you run enough auctions, this situation is likely to happen to you. There are a few approaches for converting these donations into of these tickets to the highest bidder. For example, in the other post I shared an email campaign from a school selling Packers tickets in an online auction. Another method is to email your community, asking interested parties to submit their “best bid” by a given date and time. The bidder submitting the highest bid by the deadline buys the item donation. When should you use this technique instead of an online auction? You lack the time to have bidders go back-and-forth in an auction. You don’t have an online auction software platform, or don’t want to use it. You want to make the sale as easy as possible for bidders. With this approach, bidders don’t register for the auction or provide credit card information in advance. In short, you’re trusting that once they win, they’ll pay. Here’s an example of a Martha’s Vineyard, MA nonprofit using this approach two weeks ago. They sent the email on January 11. The deadline for submitting bids was three days later, midnight at January 14. The event, which would involve the bidder buying airfare, was on January 27. Whatever approach you use, the goal is to quickly convert the item donation into cash that your nonprofit can use. Have you used this technique? Any advice to share? We’ve had this happen a couple of times when folks had tickets to events. NCAA final four and Dolly Parton tickets were both given to us at a time that didn’t coincide with our large auction. We used 32auctions.com, sent an email blast to patrons and posted it on facebook. The highest bid for the NCAA tickets was placed by a nice gentleman in Alabama, who didn’t know anything about our charity. 32auctions.com offers free auctions for up to 20 items, if you area a 501c3 non-profit. Thank you for sharing great ideas with us auction organizers! 1. From our conversation 4 (?) years ago, you might be interested to know I bought the purple water purifier. 2. Thanks for mentioning 32 Auctions’ free online service for limited items. For those wanting to run a more traditional “online auction,” that’s a good option and I provided some examples of the marketing around that earlier this month. And for those that don’t want to do that, the “gimme your best bid” described in this post is also an option. NOTE FOR THOSE JUST ARRIVING ON THIS PAGE: You can read more about the aforementioned online auction style of selling these items on this blog post from 4 weeks ago.